Dogs of all sizes are cheering for our Bully Basted Ch’earz. These dog chews are pork chins, bully basted, and baked to perfection with no artificial ingredients. 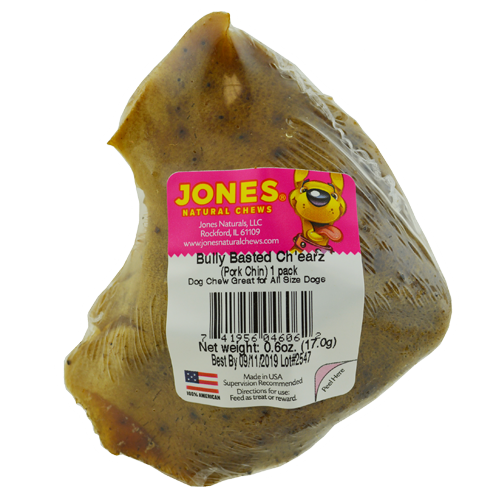 Bully Basted Ch’earz are a fun alternative to the pig ear, and great for all size dogs. As always, Jones products are 100% grown and made in the USA.